I love reading. And not just any old book. 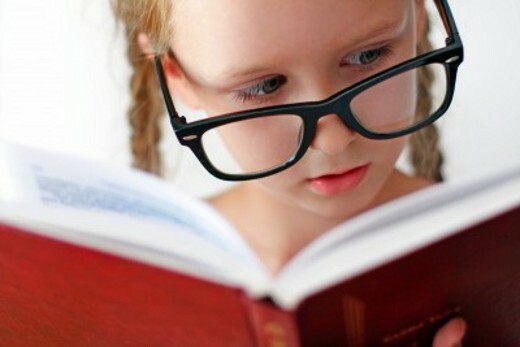 I want to read the best books. Whenever I look for books, I carefully scour the description, the comments and reviews, as I don't see any point in wasting my time on rubbish. I decided to add this list of my best books to my website, because when I find a good book, I want everyone else to read it and appreciate it as well. I have a tendency to read biographies and autobiographies, so I have listed those here. But I sometimes also delve into works of fiction. For a list of my favourite works of fiction, have a look at my list of Best Novels. 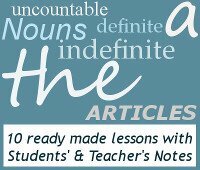 I've also made a separate list of easy reads, which are also suitable for English students. These books are also excellent, and written for native speakers, but the language they use is slightly easier, and therefore more accessible to non-native speakers. Have you ever wondered how people living in Nazi Germany were not only accepting of Hitler but also supported his war in Europe? This insightful book offers us a glimpse into the world of Nazi Germany and how this was possible. 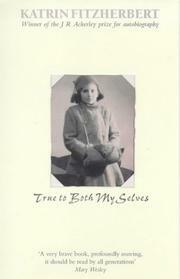 This is the autobiography of Katrin Thiele who grew up as an ordinary German child in Berlin before and during the war. She describes life with her family - her brother being a member of the Hitler youth, and her father being a committed Nazi Party official. Her whole life she is only taught that Hitler and Nazism is good and positive. At the end of the war she realises her life is built on an illusion, and she is whisked to England by her English-born mother, and forbidden to mention her father and has to conceal her German origins. This book is not only incredibly interesting as a narrative, but also shows us the struggle of a person with two identities split by opposing sides. I grew up in South Africa, not far from where this book is set, so perhaps I have a certain affinity with its content, but it's beautifully written, and the stories about the animals and humans alike are fascinating! Lawrence Anthony was an environmentalist and the head of conservation at Thula Thula, a private game reserve in Zululand, South Africa. He was offered a herd of wild African elephants who were destined to be shot because of their aggressive behaviour. 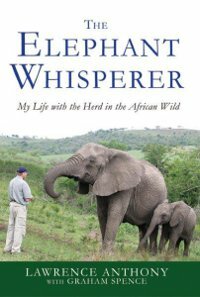 Despite having no experience with elephants, he decides to take them on, but things start off very badly when the elephants break out of his game reserve in the first 24 hours, and the rangers in the neighbouring Umfolozi Game Reserve are given the shoot to kill order if it is to happen again. The book chronicles how he overcomes the aggression of the elephants, as well as other problems with poaching, snakes and weddings. This is an eye-opener with regards to how intelligent and communicative African elephants are. Loved it!!! Forell was a German soldier, captured by the Russians at the end if WW2, and then deported to the far end of Siberia. And I mean the far end - a place called East Cape, just across the sea from Alaska. He is put to work underground in the lead mines, but upon realising that getting out is his only hope of survival as all the men are suffering from lead poisoning, he manages to escape. But upon leaving the prison camp, his problems just begin. 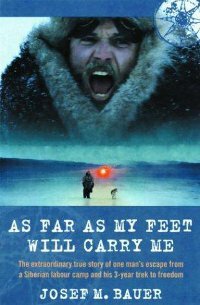 Travel can only be done across Siberia in winter, when the ground is frozen, so he faces the challenges of extreme cold, bandits, Russian soldiers and wolves, amongst other things. It takes him 3 years to cross the continent and get back to civilization. This is the incredible true story about how he accomplishes it. 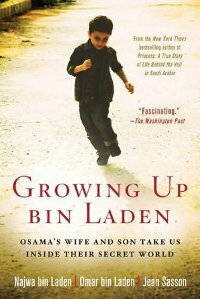 This book is the fascinating account of the first wife and fourth son of Osama bin Laden and the life they spent with him. Najwa is the first cousin and childhood friend of Osama bin Laden, and is delighted when she gets to marry him at the tender age of 14. She relates how her life starts off with great hopes, plans and luxury, and slowly unfolds into the deserts of Sudan, and the barren hills of Afghanistan. She bears Osama 11 children, and Omar, her 4th son, co-authors the book with her, describing life as one of 20 siblings, growing up being trained to lead the organisation with his father, while hating all things violent. This book gives us insight into how a man can transition from being a wealthy, devout muslim teenager, to a man determined on the destruction of the west due to his fanaticism, obsession and hatred for all things American. Although the writing style is no great work of literature, the gripping content of the story more than makes up for it. Winner of the 2010 BBC Samuel Johnson prize. 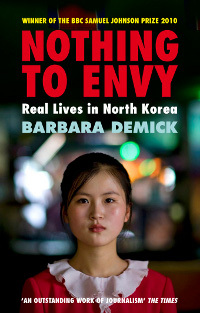 Nothing to envy is the life story of six North Koreans who lived in Chongdin, North Korea's third largest city - an orphan, a doctor, an academic, a school teacher and a communist. They all now live in Seoul, and through extensive interviews with them, the author recreates the stories of their every day lives in the world's most ruthless regime. While still remaining personal, this fascinating book gives us insight into how the regime as lasted into its third generation, with glimpses into the class structure, the military control, the cult of personality, censorship, the famine, as well as shocking insight into life with no elecricity, internet, or even telephones. This book is beautifully written, and I found it very difficult to put down. It is unforgettable. I hope you have found something you will enjoy reading in my list of Best Books. If you prefer reading works of fiction, have a look through my list of Best Novels. If you are looking for easy reads, then have a look at my Recommended Books.